The 9 Best Educational Activities for Children in Iowa! While there are plenty of ways to keep a child occupied, establishments across the state of Iowa offer interactive, educational activities to really stimulate their brains! Whether it’s a children’s museum or science center, perhaps the best thing about the activity-filled children spots in the state of Iowa is that they are almost just as much fun to visit for all the adults who accompany their children, and to discover all the enjoyment that can be had learning new things, it would be in your favor to visit these nine best spots in Iowa for children’s activities. This science center is a non-stop fun assortment of exhibits to stimulate both children’s minds and perhaps even the adults who accompany them. Featuring two stories of interactive displays, demonstrations and all sorts of learning opportunities, with the adjoining IMAX theater, there is enough to discover at the Science Center of Iowa for every weekend of the year. The Iowa Children’s Museum, located within the Coralville Mall next to the ice skating rink, is every child’s dream come true. Featuring scaled down, playable versions of real life, including an interactive doctor’s office and a simulated shipping dock, the Iowa Children’s Museum can keep the little ones engaged for hours on end. Don’t be surprised if you enjoy your visit to the Iowa Children’s Museum just as much as your little one though, because it’s impossible not to have some fun while visiting this staple spot in Iowa for children’s activities. Designed for kids ranging from six months old to 10 years of age, the LaunchPAD Children’s Museum in Sioux City strives to be an interactive, education experience, and with the wide range of unique exhibits found in their engaging space, they easily meet this effort. Located in the historic Pearl District of downtown Sioux City, this area of the city and specific children’s space is ideal for every member of the family and will surely bring out the inner child in every adult who visits with their own. Focused on fully interactive and fun family activities, the Family Museum of Bettendorf is an ideal place to learn, play and be together. With exhibits ranging from George’s Farm complete with pickable vegetables, to the Lil’Ssippi River Valley featuring a fully interactive watertable, the real treat for children and the adults that care for them is the miniature-scale town of Fox Hollow featuring a role-playable storefront, post-office, veterinary clinic and fire department. Feel free to be whoever you want to be at the Family Museum, and watch for yourself as your child uses their imagination to do the same. Featuring over 17,000 square space of playable terrain, the Felix Adler Children’s museum has over 20 rotating and permanent exhibits to explore, leaving both the adults and children who visit with plenty to play with. 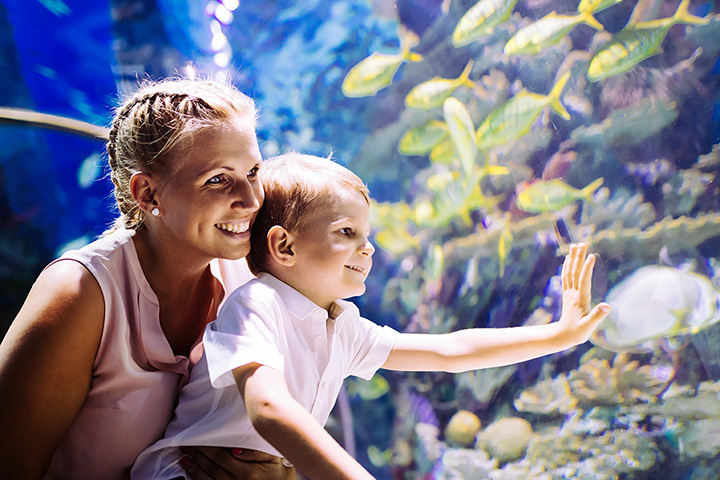 Combining elements of arts, culture and science, whatever discipline your child chooses at the Felix Adler Children’s Discovery Center, they’ll be sure to not only have a great time, but it’s a guarantee that they’ll learn something while going about it. Featuring exhibits that will interest both adults and children alike, the Union Pacific Railroad in Council Bluffs pays tribute to the heydays of the locomotive. Featuring a long list of guided tour options catered towards both adults and/or every level of elementary school students, with each making stops in different parts of the history of the railroad, the Union Pacific Railroad Museum is an education experience that the whole family can enjoy. The Phelps Youth Pavilion in Waterloo is a unique resource that affords not only an excellent space for children to play, but a safe environment for parents to watch their kids explore. Featuring special exhibits and permanent play areas, plus a boat load of galleries, workshops and studios, the Phelps Youth Pavilion has enough to keep children entertained throughout the entire day, and it’s always a fun experience for the adults at the Phelps Youth Pavilion, in part because they get to watch their kids have the times of their life. As a tribute to the mighty Mississippi that comprises the border of Dubuque and the western edge of Iowa, the National Mississippi River Museum & Aquarium is a dense concentration of interactive and informative exhibits tied to the lifeforce of this country spanning water source. An amazing space to visit to learn about a relevant geological force effects much of what Iowa is today, the National Mississippi River Museum & Aquarium requires many visits to explore everything it has to offer. Created by parents with active kids who wanted an environment for their children to burn some energy through good, clean fun, the Playground for Kids in Ankeny provides a safe place to stray away from the modern idleness found in smartphones and arcade games. With no time limits and a huge place to run, jump and play the day away, there is no doubt that with one visit to the Playground for Kids in Ankeny, your child will be worn out and ready for bed.